Language and literacy development begins at birth, so it is never too early to bring your child to the library where you will find a variety of early learning services and programs that support this amazing period of development. STORY TIMES : Stories, music, movement, rhyme, and activities created with your child’s developmental stages in mind. Story times are designed to include active adult participation and encourage enjoyable interaction with the child. Please see our schedule for times and locations. Baby, birth-16 mos. with caregivers. Babies’ brains are wired for learning. Because language acquisition starts at birth, Baby Story Time focuses on activities that will stimulate their brain development. The emphasis is on caregiver-child interaction as we guide you through bounces, songs, movement rhymes, and stories. Family, birth-5 yrs. with caregivers. The boundless energy of children of all developmental ages fuels this fun and interactive program. This story time encourages the joy of learning, language, and literacy by sharing stories, songs, rhymes, and movements that families can repeat at home. LET’S PLAY: To engage in activities and toys designed to encourage a love of learning for our youngest patrons and their grown-ups, please visit The Room to Grow at our Cook Park location in Libertyville and The Play and Learn area at our Aspen Drive location in Vernon Hills. 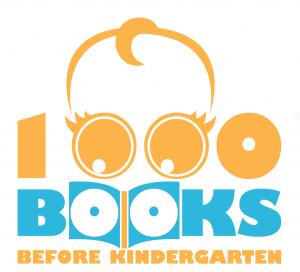 1000 Books Before Kindergarten: This reading program is geared towards families with children birth-K, with the goal of reading 1,000 books before starting kindergarten. Early Literacy Kits: With various contents depending on the age-level, each kit has a sheet with language and literacy based activity ideas, along with books and manipulatives. Writing Centers: When your toddler scribbles they are learning how writing works. Children can practice writing and drawing at our writing centers. Using our toy mailbox, they can “mail” us their work; they might see their writing and drawing put on display. BookFlix: An online collection of Scholastic picture books, paired with nonfiction texts. Available 24/7. Music: Explore a variety of children’s music available for check out on CD, and through Hoopla, our online resource. Early Literacy Tips: Follow us on Facebook, Instagram or Twitter to receive weekly tips offering simple and powerful activities you can do with your child to encourage their brain development. Welcome Baby! Gift Bag: We would like to welcome your new baby to the library with a free gift bag. For expectant parents, as well as those with children up to 12 months of age, we’ve included early literacy development information and library services designed for young families. Stop by and ask for your free bag at the children’s desk at our Cook Park location or the reference desk at Aspen Drive. Children begin developing reading skills at birth and you can promote those skills every day with the 1000 Books Before Kindergarten program. Start whenever you like and begin reading, with the goal of reading 1000 books before your child starts kindergarten. (Psst: Multiple readings of the same book each count; so if your child loves Make way for Ducklings and wants to hear it every night for a month, that counts as 30 books!) Set goals, track books, and earn prizes along the way with your child, age birth to the start of kindergarten. Sign up the next time you visit Cook Park Library, Aspen Drive Library, or the Bookmobile.